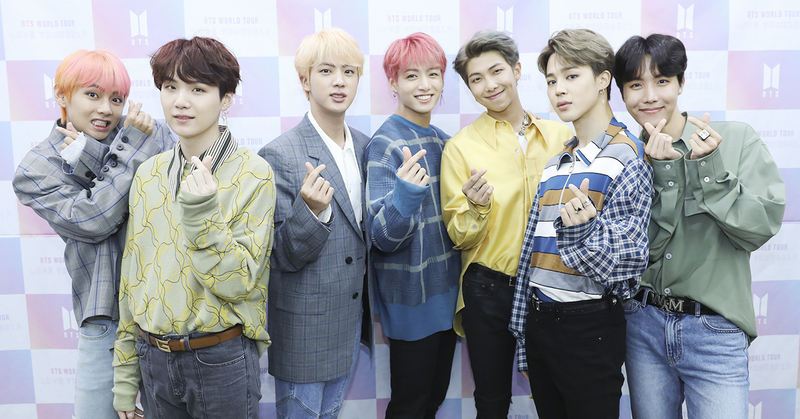 Following the grand record of topping Billboard 200 for the second time, BTS debuts their song IDOL at No.11 on Billboard's Hot 100! According to the latest Billboard chart announced on September 4, BTS' IDOL ranked No.11 on Billboard's single chart, Hot 100. IDOL is the title track of BTS' repackaged album LOVE YOURSELF: Answer. The special digital version of this song featured by rapper Nicki Minaj was placed at No.11. With this, BTS marked their second-highest rank on Hot 100, after they ranked No.10 with Fake Love in June. Previously, on Billboard Hot 100, BTS' DNA hit No.67 in last year October(debuted at No.85, stayed on chart for four weeks), and in the same year December, MIC Drop(Steve Aoki Remix) reached No.28(debuted at No.28, stayed on chart for ten weeks). Billboard wrote, "'IDOL' marks BTS' fourth total Hot 100 appearance." The article also stated that, "'IDOL' started at No.1 on the Digital Song Sales chart with 43,000 downloads sold in the week ending August 30, and it begins at No.11 on Streaming Songs with 24.4 million first-week U.S. streams in the same week."